This modern renovation was initially two rooms that were combined into one large, luxurious entertaining space. A beam was recessed into the ceiling to allow for a smooth transition into the expanded kitchen. 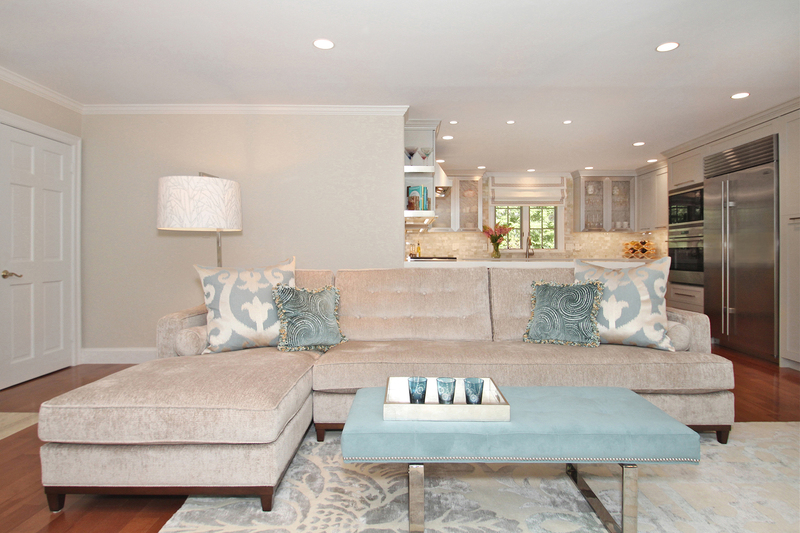 A tranquil palette of cream and aqua keeps the space feeling contemporary and fresh. 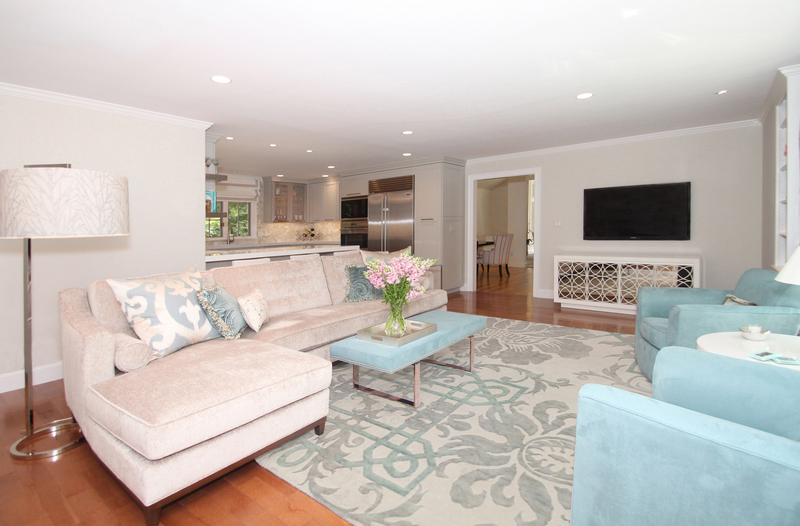 A gorgeous silk-wool blend Tibetan rug by Tufenkian anchors the room, while new hardwood flooring throughout unifies the two spaces. A custom sectional with chaise was placed to take full advantage of the beautiful fireplace. 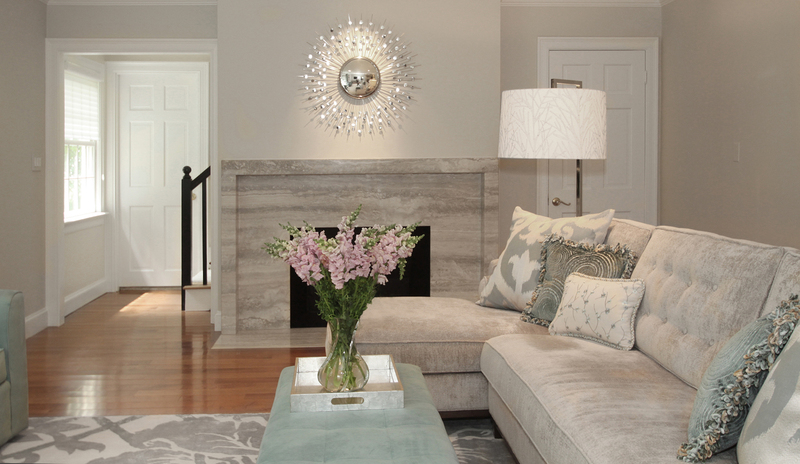 Clad in silver travertine and crowned with a shimmering starburst mirror, the custom-designed fireplace becomes the heart of this modern, renovated space. The new kitchen, larger and more luxurious, features high-end appliances, custom built cabinets in a custom color and countertops made from engineered stone. 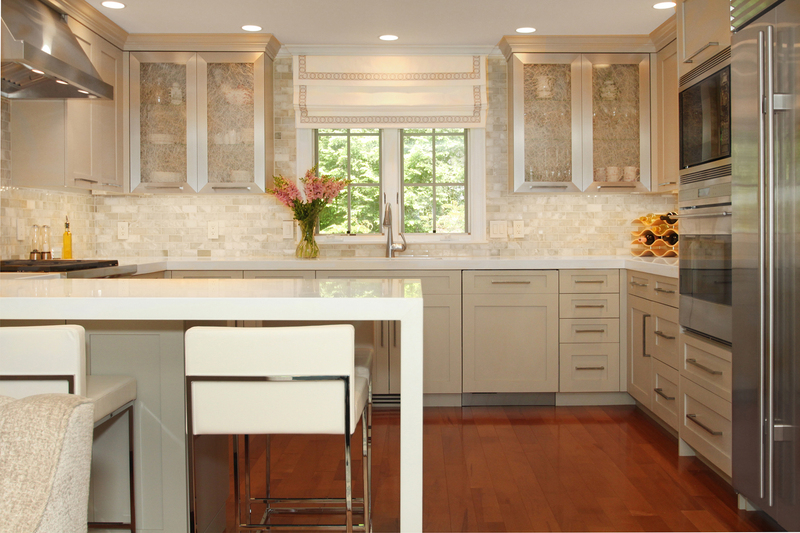 A modern waterfall edge creates ample counter space and a bonus dining area. White leather bar stools with chrome legs provide a flexible seating solution for visitors. 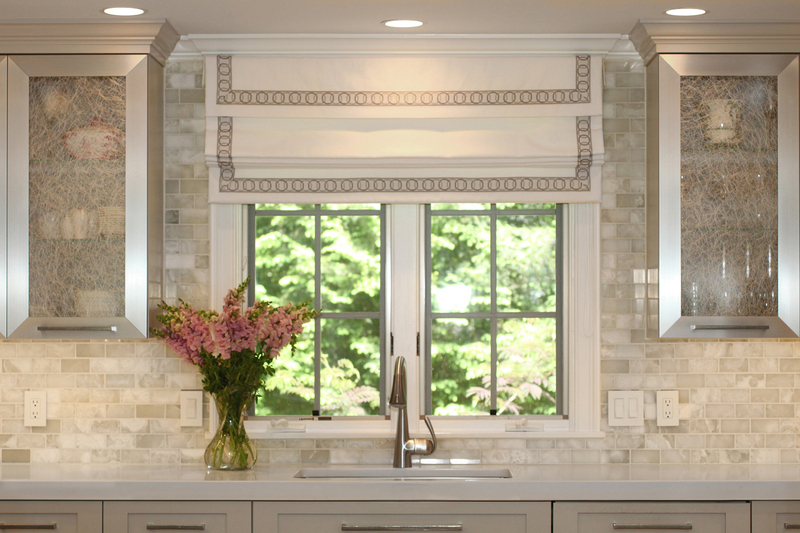 Luxurious details include a white onyx subway tile backsplash and steel frame doors with spun glass inserts.